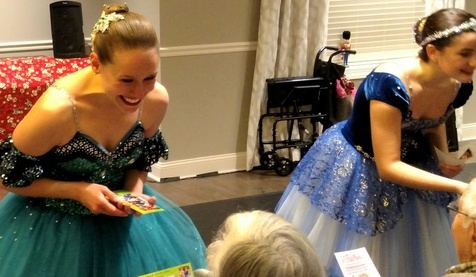 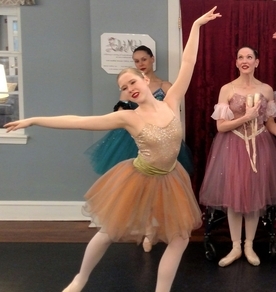 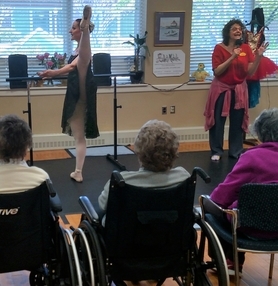 Everyone in Ballet Mobile is a volunteer, hoping to "ease one life the aching" through music, movement, and inspiration. 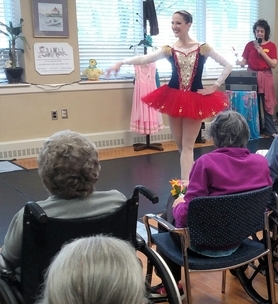 Ballet Mobile is modeled on the Bookmobile, making Beautiful Ballet-to-Go a reality. 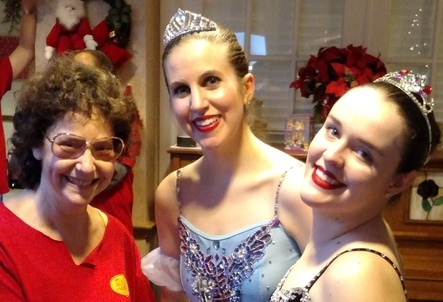 Renée Meyer creates, narrates, and directs all Ballet Mobile house calls. 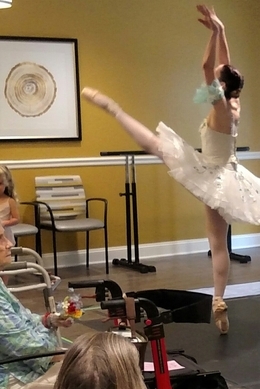 Her goal is to take really good ballet out of a dark theater and share it - up close and personal - with people who otherwise might not be able to experience it. 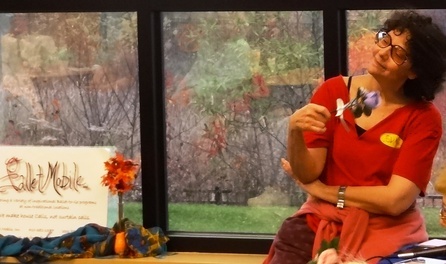 Renée integrates what she calls "M&Ms" - music, movement, and meditative techniques - into interactive, healing programs designed to improve the well-being of everyone experiencing them.The handmade silk flower gifted to each participant helps remind everyone of the experience long after the program ends. 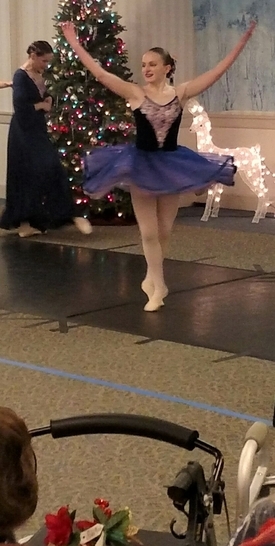 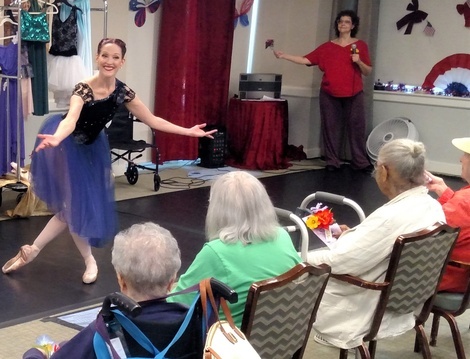 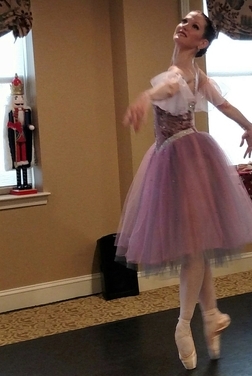 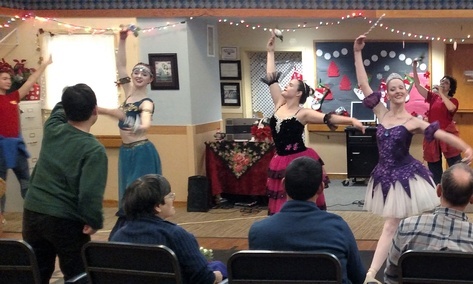 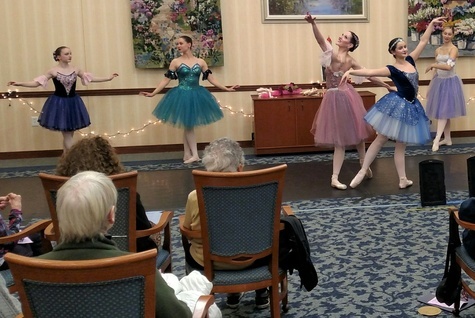 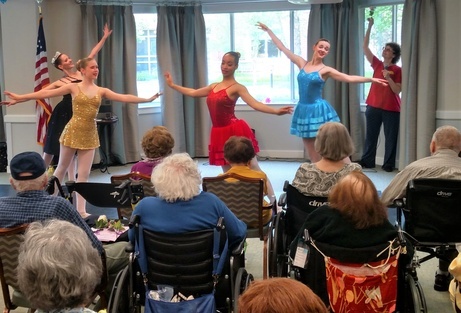 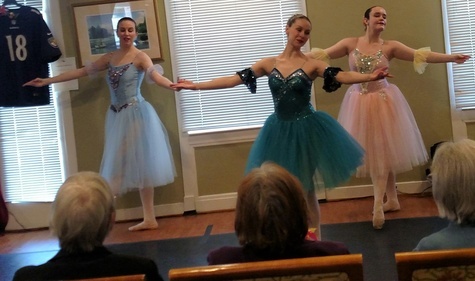 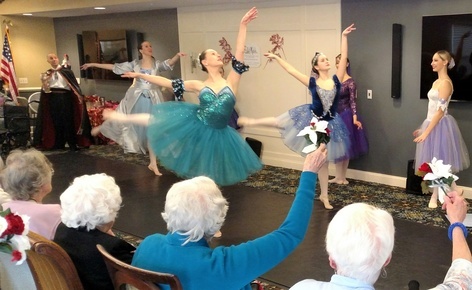 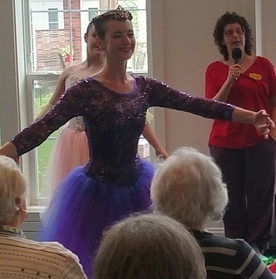 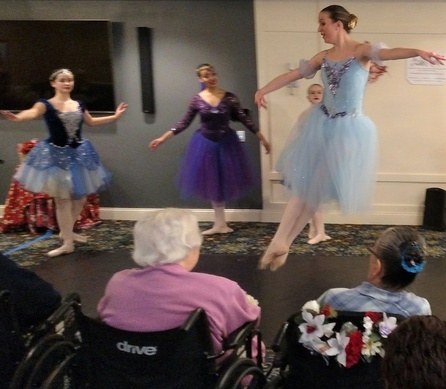 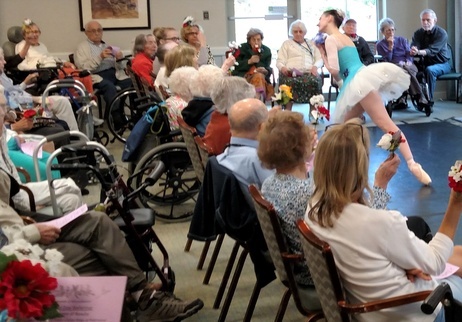 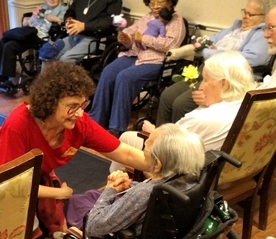 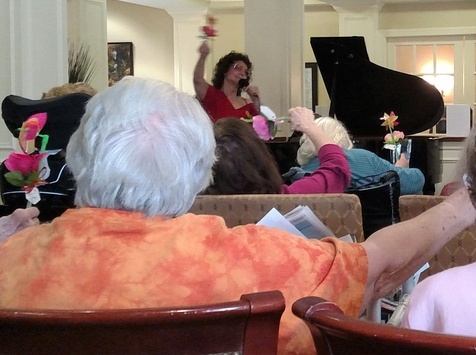 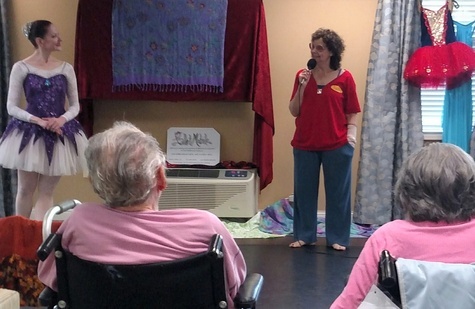 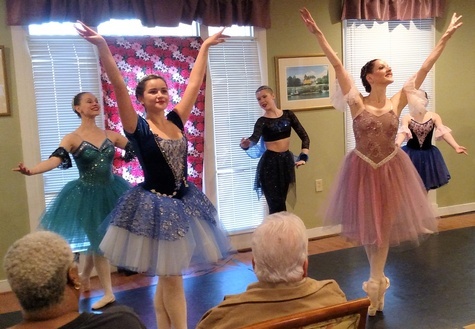 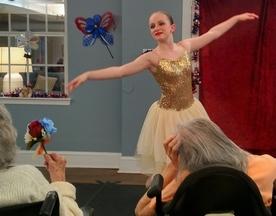 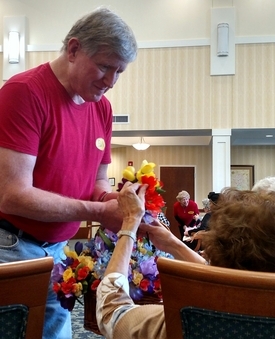 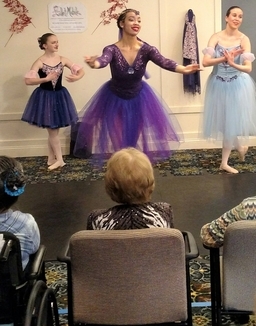 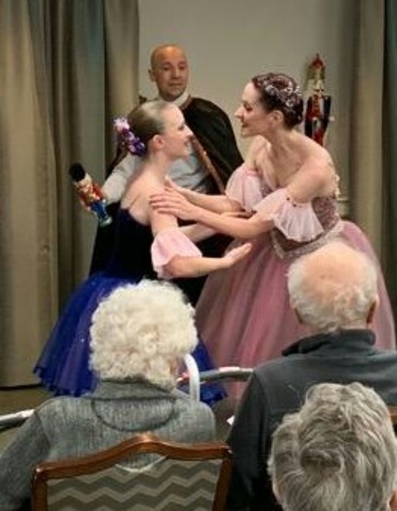 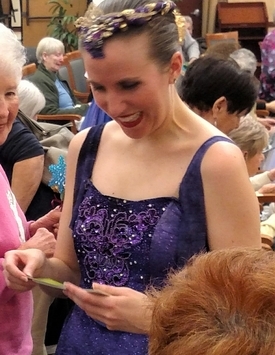 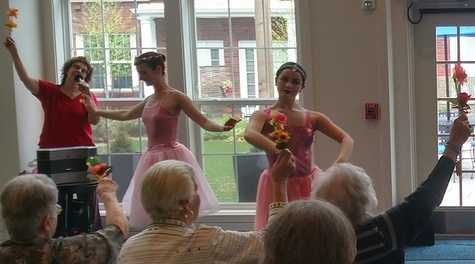 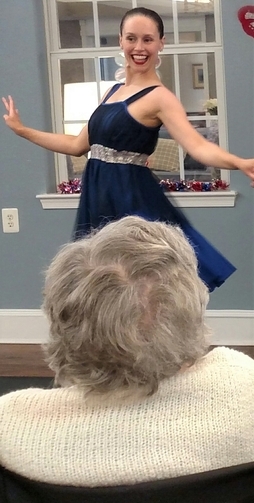 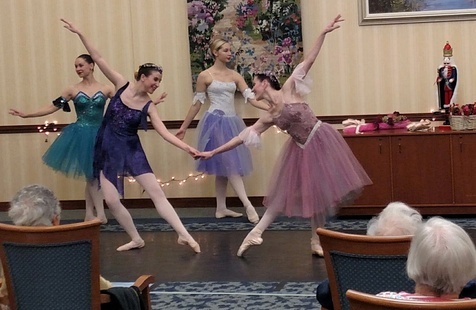 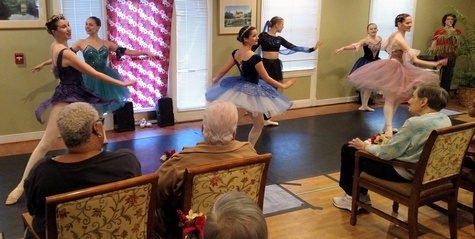 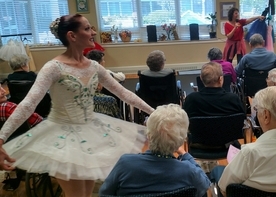 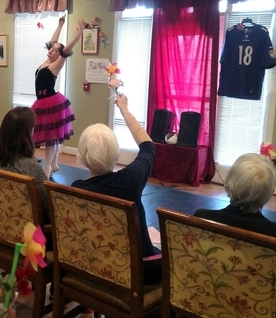 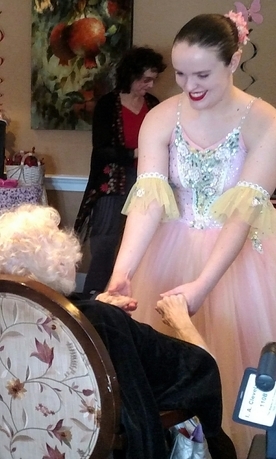 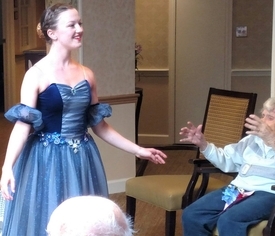 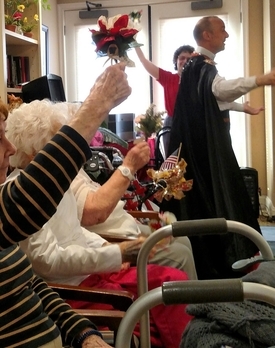 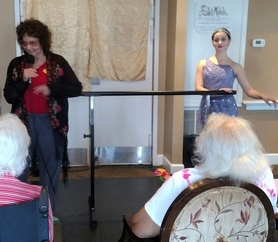 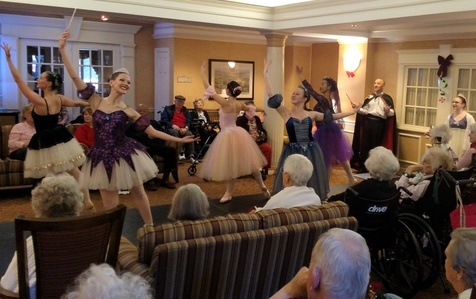 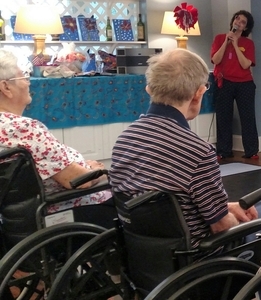 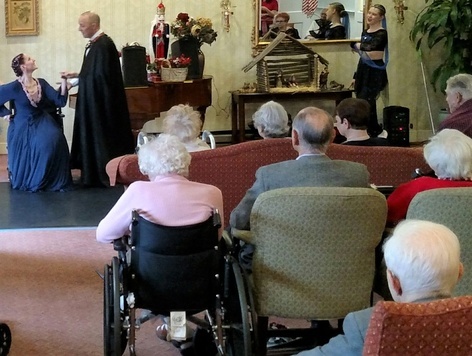 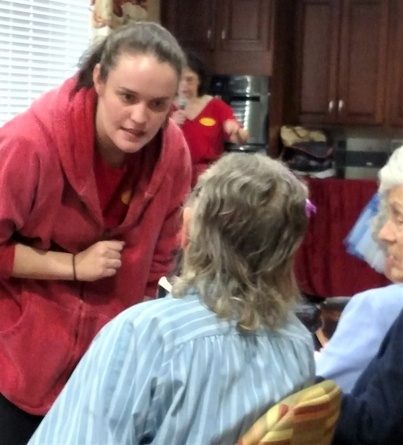 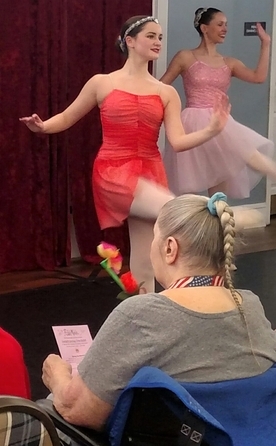 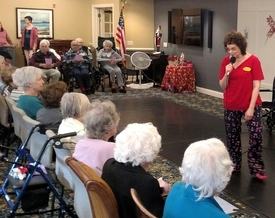 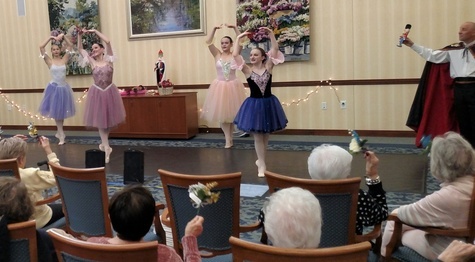 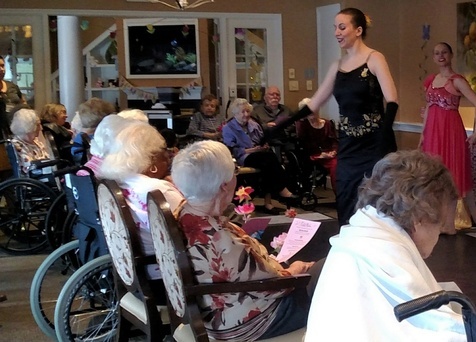 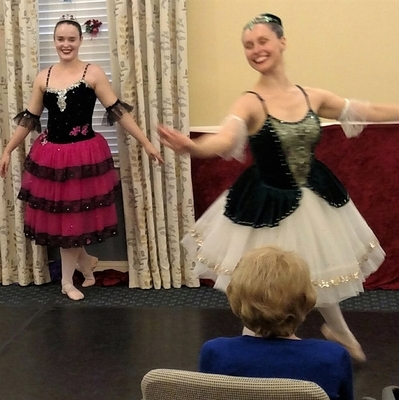 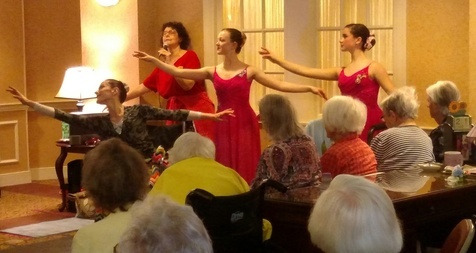 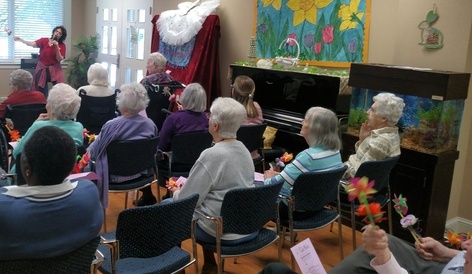 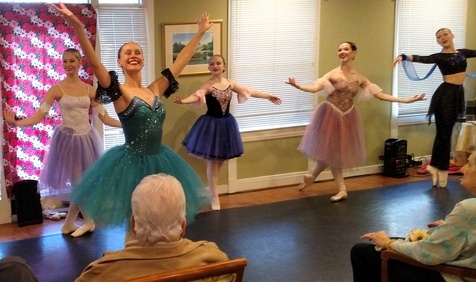 For four years, Renée has taught Ballet Mobile classes tailored for seniors at Weinberg Village in Owings Mills, MD. 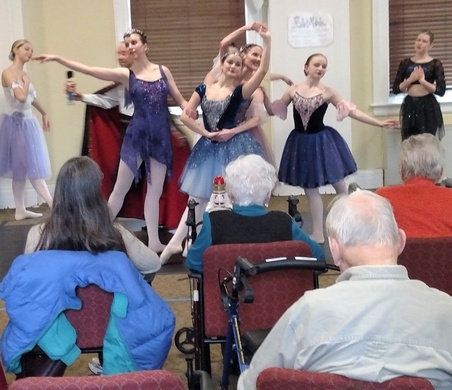 The program proved over time that ballet improved memory, mood, balance, listening, coordination, agility, and patience. 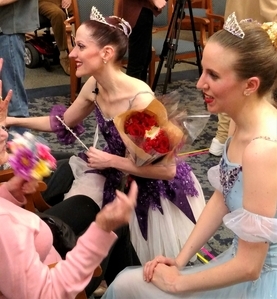 Susan Moore is Ballet Mobile's Principal Artist, often dancing one-woman-shows. 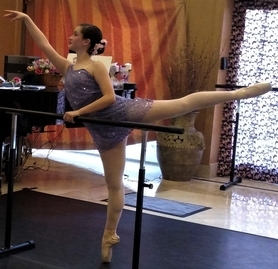 She is a professional ballet dancer. 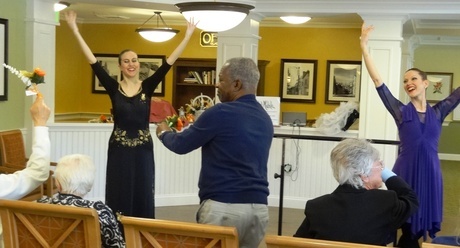 Robert Stokes is Ballet Mobile's Lead Roadie, making it possible for Ballet Mobile to bring its floors and equipment wherever Ballet Mobile visits. 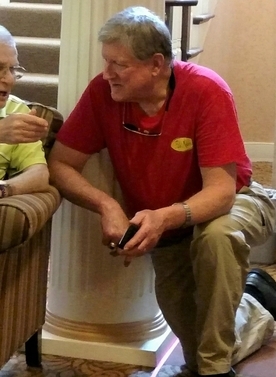 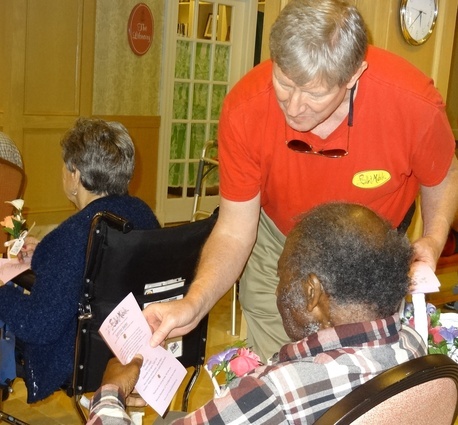 He is assisted by wonderful volunteers. 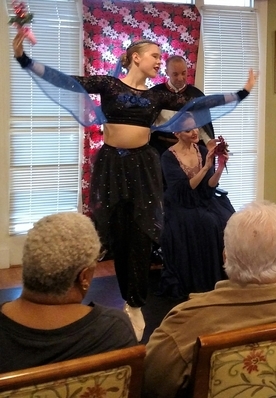 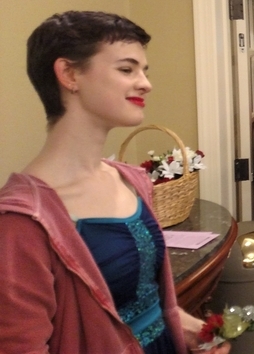 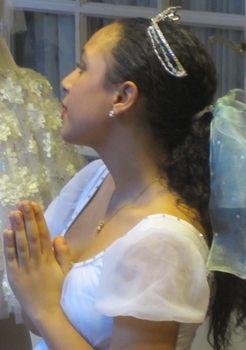 Rebecca Gould is Ballet Mobile's Principal Soloist. 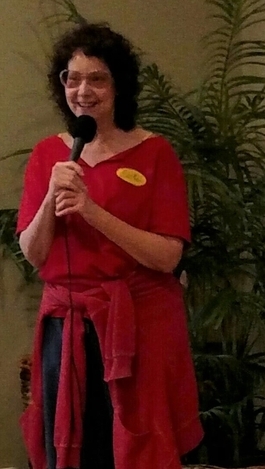 She is an English-as-a-Second-Language teacher during the school year. 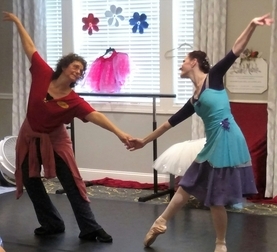 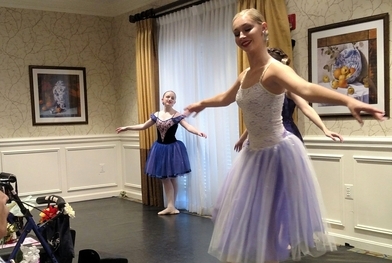 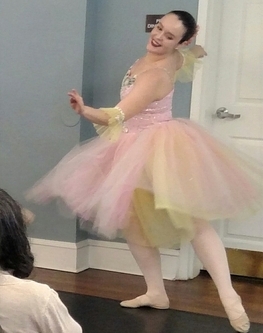 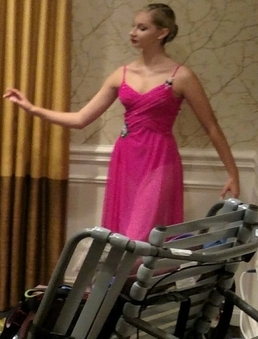 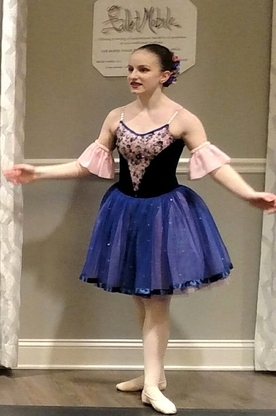 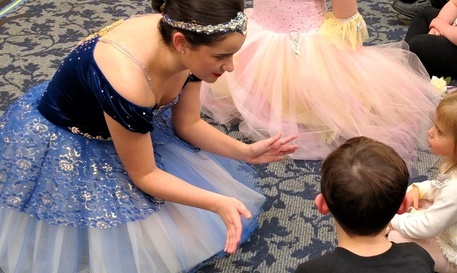 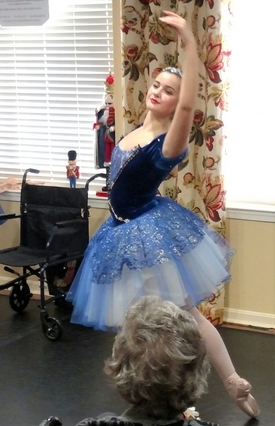 Deirdre Kleinow, Ballet Mobile's Soloist, is a professional school teacher. 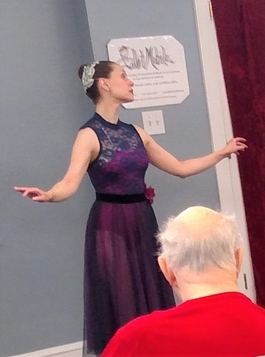 She currently teaches second grade. 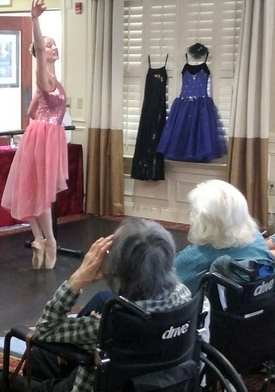 Starting with love, Ballet Mobile combines beautiful ballet, music, group movement, and mental imagery. 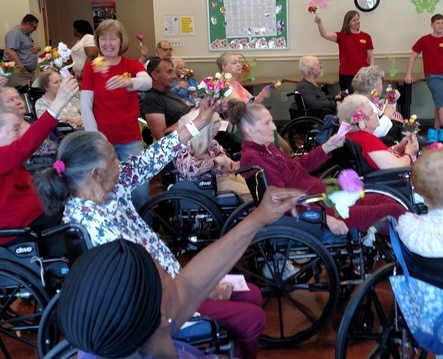 Hearts touch hearts to create unique, lasting experiences that raise people's spirits and improve their physical and mental well-being. 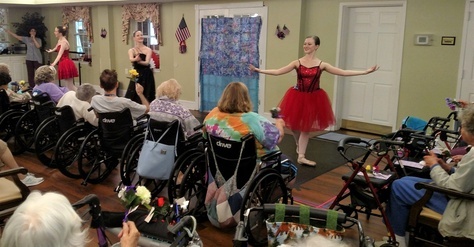 Evidence-based research findings about the positive effects of dance and music underpin Ballet Mobile's house calls. 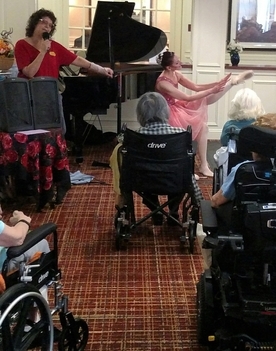 Everyone has the chance to move, retrieve cherished memories, regain inspiration, watch wonderful artistry, and dance with their hearts if not their bodies. 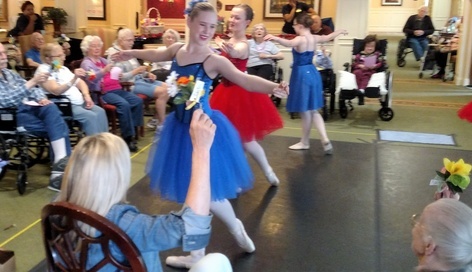 The magic lasts long after Ballet Mobile leaves. 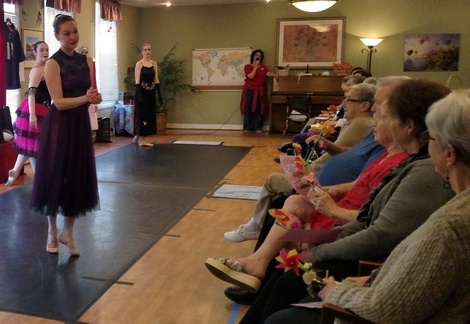 Handmade silk flower bouquets are gifted to each audience and staff member to help them remember their personal Ballet Mobile experience.